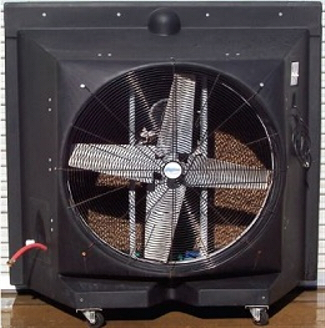 MEGA-Breeze, established in 1999 is a Family owned American business. Mega Breeze is a minority, woman-owned small business. 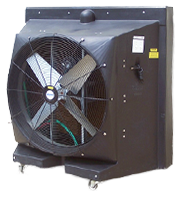 MEGA-Breeze is great for industrial as well as agricultural, commercial and personal applications. It operates at approximately 1/6 the cost of air conditioning. Just plug into a 120-volt recepticle, attach a water hose to fill the reservoir with water, and turn on the pump. When the pads are wet, turn on the fan, sit back, and enjoy amazingly cool, clean air. It also filters the air as it cools, so instead of breathing the dust and other contaminants normally found in the air, MEGA-Breeze removes them. For more information on our products please visit us at: megabreeze.com. Copyright © 2013 Towering Industries. All Rights Reserved.